Date: As Indicated. Please reach out for more dates! Having listened to the concerns of students and new RMTs over the past several years, we have spent considerable time pulling together, what we feel, is a focused product enabling attendees to prepare for entrepreneurship. Delivering a mix of interactive and lecture-based material, this course is aimed at both existing RMT’s with experience in the field of massage therapy, but also new graduates yet to gain that experience! Consequently, attendees will be able to tailor their outcomes to their own specific needs and goals. Not only does this course review your options, it also tackles stock requirements, accountancy, billing, name registration and marketing together with forward planning tools, which will aid YOU in your preparation for entrepreneurship. The course provides not only the usual high standard of literature expected from a Dragonfly course, but additional BONUS MATERIAL which, we feel, will provide the new entrepreneur with a head start in their new business venture. A non-refundable deposit of $201.25 is required to secure your place on this course. 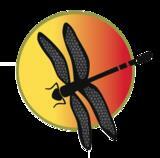 Please contact Dragonfly Release to have your invoice issued to you for payment.